No one wants to experience hair loss. We understand, it’s upsetting. That’s why a consultation in our practice is a very specific medical examination by Dr. Sean Behnam. A careful, personal, evaluation where all options are discussed. For patients who are transplant candidates, all aspects of the procedure are explained. This includes pre-op, post op, down time and aftercare. The advantages and disadvantages of each type of procedure (F.U.E and strip) will be explained so the patient can choose the procedure that best suits his or her goals. For strip patients, Dr. Sean calculates the density of the the donor area to give the patient the number of grafts the can be extracted safely in a single procedure. The area that needs hair is measured to indicate if the supply meets the demand. There is no guess work and each patient walks away with an understanding of the amount of coverage to expect from a procedure. For F.U.E. patients the density of the donor area does not need to be calculated because grafts will be taken out one by one. Dr. Sean will instead try to determine the angle in which the hair grows beneath the skin. The extraction process is slowed by hair that has an intense angle or curl. This is what is done to give the patient the number of grafts that can be extracted in a single day. The area to be filled will still be measured and the patient will still leave with the knowledge of what can be achieved. All patients will be shown pictures and videos to illustrate healing and results. Our practice is dedicated to educating. 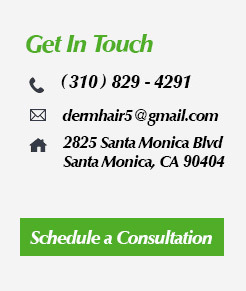 We are committed to conducting every consultation as a chance to educate those with hair loss not as a sales meeting.